The International Criminal Court has decided not to authorize an investigation into alleged war crimes in Afghanistan. 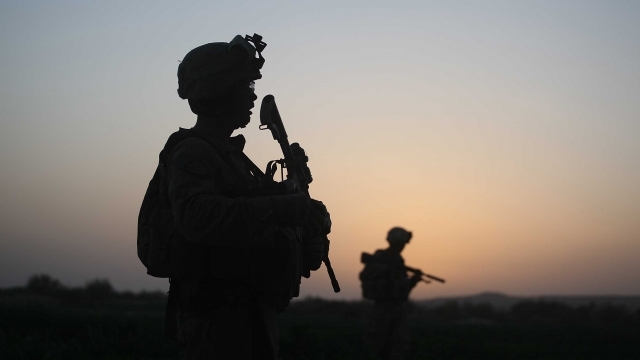 In late 2017, the ICC's prosecutor requested opening an investigation into war crimes in Afghanistan committed by the Taliban, Afghan National Security Forces, and U.S. military and intelligence personnel. On Friday, ICC judges ruled unanimously "that an investigation [...] at this stage would not serve the interests of justice." The Chamber said it based its decision mainly on the changing political scene in Afghanistan since the preliminary examination began in 2006, as well as a lack of cooperation from involved parties, and costs. In response, the ICC prosecutor said in a statement that her office will "consider all available legal remedies" in regard to the judges' decision. President Donald Trump praised the ICC's decision Friday, saying it was "a major international victory, not only for these patriots, but for the rule of law. We welcome this decision and reiterate our position that the United States holds American citizens to the highest legal and ethical standards." Amnesty International criticzed the decision, saying “Afghanistan has been witness to heinous crimes committed with near-absolute impunity [...] for more than a decade and a half. The ICC’s decision today is a shocking abandonment of the victims which will weaken the court’s already questionable credibility.” The Chamber's decision comes on the heels of the U.S. revoking the ICC prosecutor's visa. Secretary of State Mike Pompeo said back in March the U.S. would revoke visas for ICC staff that tried to investigate potential war crimes by the U.S. in Afghanistan.